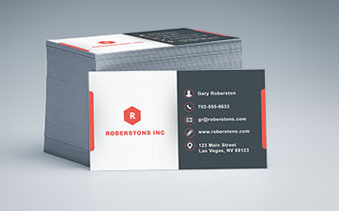 We are a leading Las Vegas printing company and have been proudly providing printing and mailing services since 2005. We provide brochure, flyer printing, four-color printing, color copying, poster printing, notepads, binding, forms, stationery and a lot more. 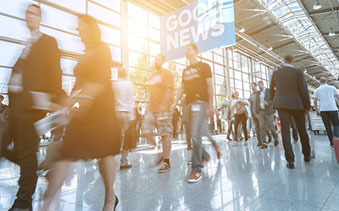 Sunrise Printing and Mailing continuously strives to offer the best service for trade shows, conventions, large and small businesses in the Las Vegas valley. At Sunrise Printing & Mailing we understand the importance of marketing & promoting your business. That is why we focus on producing quality print materials, communicating with you and meeting your deadlines. Whether you are printing short-runs or large runs, we can handle your order. We offer the best in Las Vegas printing services and cater to convention shows. We stay on the cutting edge of digital printing, utilizing top-of-the-line digital production presses, along with offset printing. Our state-of-the-art in house technology allows us to accomplish printing projects which allows us fast turnaround times for your printing needs at a greater savings and improved efficiency for our clients. You can rely on us! Coming to Las Vegas for a convention, trade show, business conference or for a meeting? We provide quality prints with fast turnaround times, no matter the volume. We are located near the Las Vegas Convention Center. Flyer printing is still vital to marketing success. This is one of the most effective ways of showcasing your products or services to your prospective clients and customers especially at a convention or trade show. Nothing beats the power of introducing yourself and your brand with business cards. 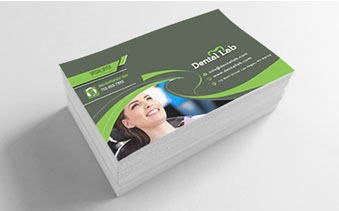 We can customize your business cards by shape, size, paper and style to fit your business brand. 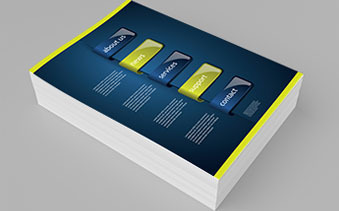 For businesses large and small, brochure printing just makes sense. 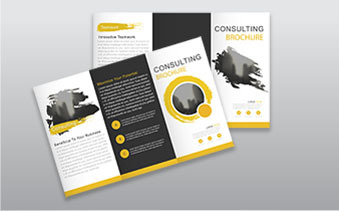 One of the most impactful marketing tools available to your business, the brochure provides valuable information to your customers and introduces them to new products and services. Postcards are still a simple, affordable and highly effective means of reaching people. There is no doubt that postcard printing is a great and cost-effective marketing tool that can get your message across to targeted Las Vegas residents in a unique way. 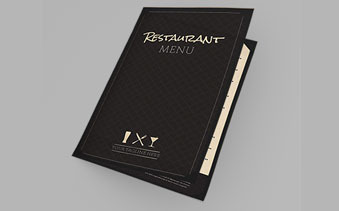 Add some pizzazz to your restaurant, bar, or cafe with a full-color, custom printed menu. Professionally printed menus entice customers to try new food items and can highlight current specials. All posted reviews on this website have been provided as a result of direct customer feedback, both in manual/paper survey forms and through electronic surveys. Additional reviews are from third party sites like Yahoo Local under Printing Services and GPlus Printing Services Las Vegas.